Postcard swapping has been a recent thing for me but what I love just as much as the postcard some are the lovely stamps I've received. 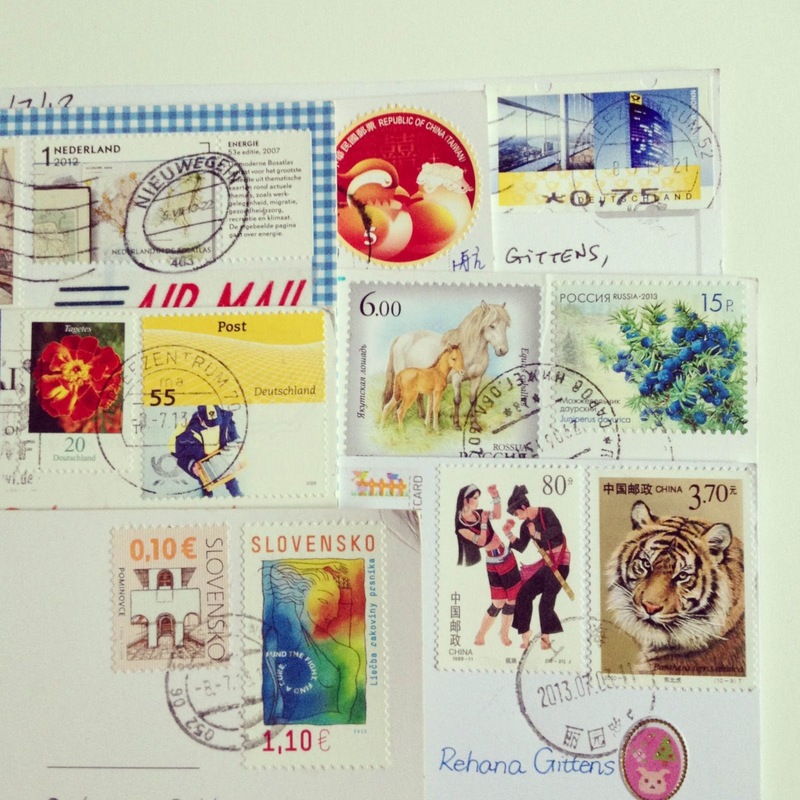 They depict so much of a country on a small piece of paper. 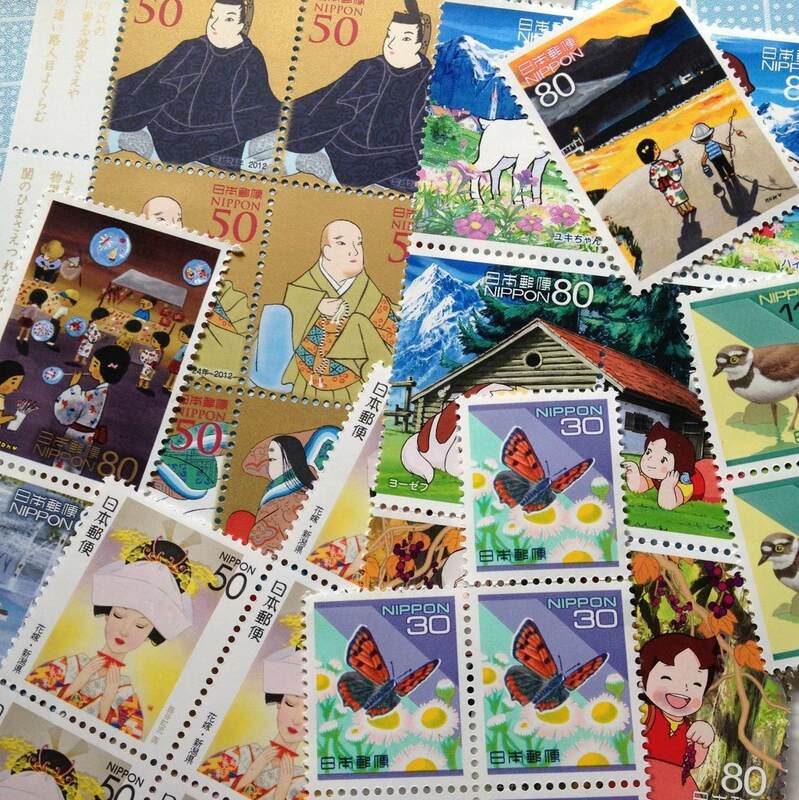 Fortunately for me JP Post issue amazing stamps in different values regularly unlike the UK. I've learnt and seen so much about each place costumes, currency, architecture, foods, animals as well as national heroes and landmarks. It's a little piece of the country and something to unique to that place as well. 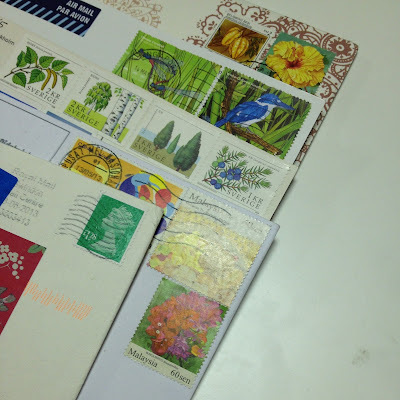 Here are some of have stamps I've received recently. I can certainly understand why people collect them. Wow, you've received such a nice variety of stamps. They're all so pretty!